This event is free to all members and their guests! The closest train/tube stations are GREEN PARK and PICCADILLY CIRCUS. 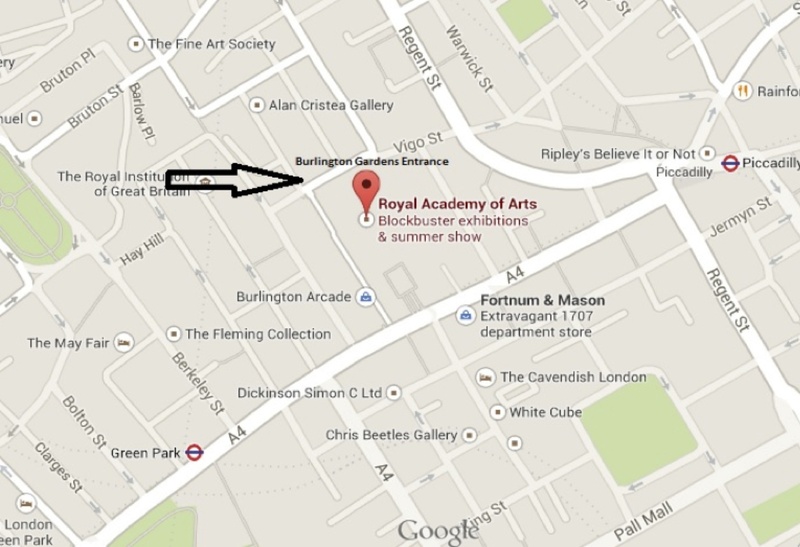 Our group will meet on the Burlington Street entrance of the Royal Academy Schools, Burlington House.